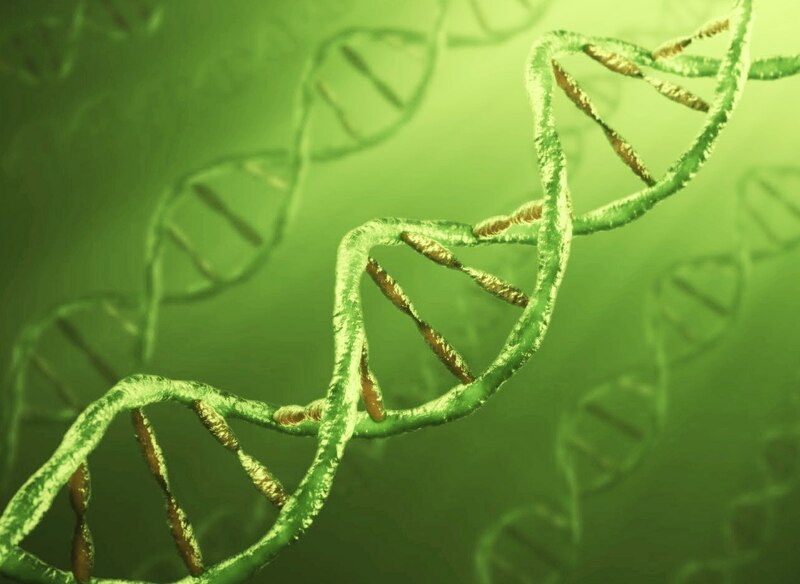 In this post we’ll look at DNA and RNA, how they relate to the ‘green’ life energy, the connection and intertwining of masculine and feminine energies of Source to express Love-as-Life, and how to work with the current transformation of Earth and humanity. 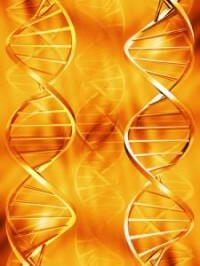 There is much information in the awakening community about DNA, and its conversion from 2 to 12 strand activation through Inception (inner embrace) of the increasing light energies enveloping Gaia. Star family ask me to speak now of RNA – Ribonucleic Acid – which is also part of ‘the Ascension equation’, for its role and energy is equally important, interwoven symbiotically with our evolving strands of DNA, and preceding it. So what then is RNA, and what is its purpose? Whereas DNA is a storage system of genetic information, both collective and unique to each individual, structured with twin protein-coated strands, with an internal lattice-work of ‘steps’ spiralled together in the form of a double helix, RNA is a single strand structure that can operate ‘singly’, bind with a DNA strand as a helix, or loop back on itself to form a double spiral helix with itself. Where DNA is a fixed structure of long strands, very well stabilized as a container and agent of genetic data, RNA is a mutable structure of shorter strands. It too can store information, but its main roles are as messengers, catalysts, transferrers and transcribers (copiers) of energy and information. In that sense RNA expresses the active transformative energy, the Life Force in flow, in complementary cooperation with the DNA, which expresses the ‘vessel’ or container energy, that which holds the energy. This could be seen as masculine and feminine, though while DNA is Twinned and complementary, RNA also expresses the Bow/curve energy of the Mother energy in its single spiral format, and the unified energies of ‘male’ and ‘female’ modes in One. 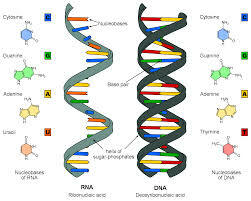 RNA bows/curves back on itself to form a double helix. While this RNA-based world may not have been the first ‘touch’ into physicality, its single spiral strand is a material extension of the prime spiral Life form of the universes. In previous posts I’ve mentioned the Fibonacci sequence/Phi spiral and atomic to galactic spiral-forms. Phi curve: spiral curve of the Golden Ratio. 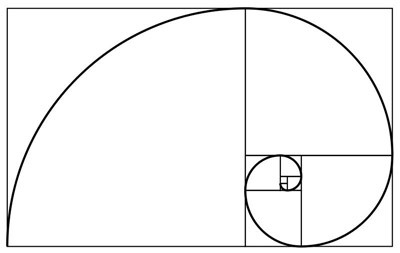 Structurally, life everywhere is based on the golden ratio. 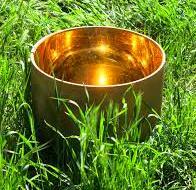 Metaphysically, life is an expression of Source’s golden-white light, and the golden white torus is the higher frequency form of all living things, whether atoms, cells, humans, animals, star people, galaxies or universes. 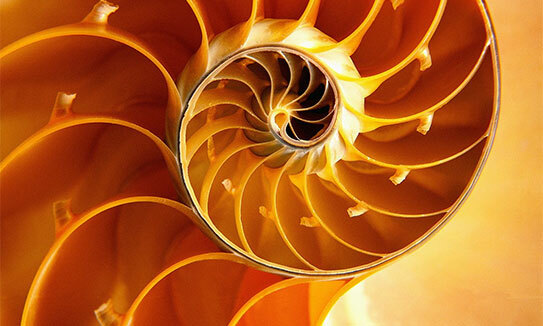 Nautilus shell interior; the golden spiral. Observe the butterfly-wing form of electromagnetic wavelengths, as the vibrational energy pattern of our DNA and RNA, our life building systems. We are electric. We are magnetic. All Life enacts this ‘Butterfly Effect’ of and through our electromagnetic field, our torus spiral energy field, or as we call it, the Golden Apple. Electrical waves intersect and cross magnetic waves, generating electromagnetic fields, travelling at the speed of light. Do you feel what is meant by the ‘butterfly effect’ as a metaphor for cause-and-effect in unison? That the beating of the wings of a butterfly in the Amazon will be felt on the other side of the world? Every particle interacts with every other particle through the intelligence and connectivity of subtle ions through the electromagnetic grid, at the speed of light – and through the heart grid of Gaia, beyond the speed of light, in the Now beyond time and distance. All one Life force, echoing through many dimensions. In 3D, this current fires the physical processes of RNA and DNA. Inception/ascension of the physical into higher frequencies Shifts it beyond the speed of light, into the state of immaterial Light, or Essence, which we all are. This Inception is a higher frequency alchemy from ‘lead’ (weighted ions/the heaviest substance) to ‘gold’ (the golden white light-form of Source Self), through the vibration of divine Grace, as we align ourselves with, and within, it. 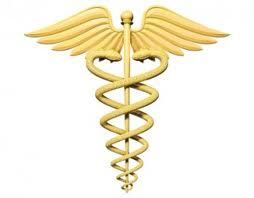 Caduceus: the wand of Hermes. 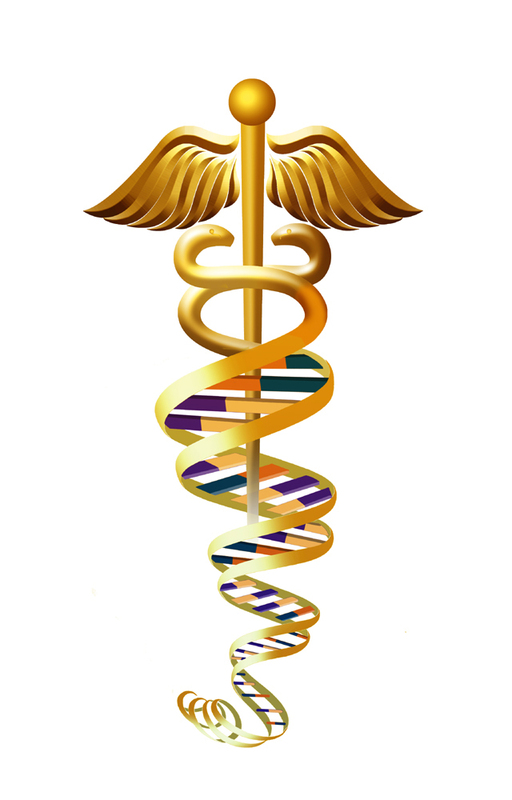 The caduceus, the wand of Hermes, represents Inception, the DNA (and RNA) double helix/kundalini/chakras opening to receive the flow of higher dimensional energies. Inception is the energy of ‘immaculate conception’ at a molecular level, each cell a vessel receiving the frequency of rebirth direct from Source, the golden resurrection light of the Divine Inner Child, through the rose and blue of Mother and Father in union. 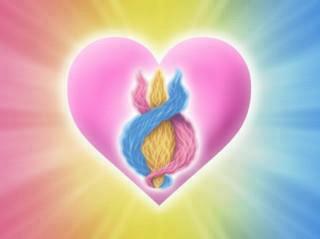 Threefold Heart Flame: Trinity helix of Divine Mother, Father and Child energies of Source, in the Heart centre. The Threefold Flame of the Heart is an envisioning of the Inception principle; immaculate conception blooming within the Heart of pure Love; blue and rose are the twin ‘parent’ strands of DNA, the carrier strands, golden through the middle is the wand, the shaft of Child Light, descending on the wings of the Dove, the holy spirit: the energy of the caduceus in action. Love-in-act-ion, as we open and allow it in our beings. There were two Hermes, remembered on Earth in ancient times; two different Souls, yet both with knowledge of the immaculate conception/Inception energies. One of them was known as Anubis in Egypt (Sirian Anpu), who was recognized as one essence in the Greco-Egyptian synthesis figure of Hermanubis. Hermanubis holding the Caduceus wand, Greco-Egyptian mosaic. In the last post about the green man, Osiris, we mentioned that in the mythic metaphors, after he had been dismembered, it was Anubis (or sometimes Thoth, the other Hermes) who fashioned a ‘golden phallus’ to replace Osiris’ missing part, from which Isis conceived a son, the ‘Sun God’ Horus. This is a metaphor of Inception/immaculate conception; Source’s golden light flows through the centre of the twining of divine feminine and masculine, the living Threefold Flame of the Heart. And Inception bestows resurrection, as seen in the revival of Osiris as lord of the Underworld (Agartha/Inner Earth). 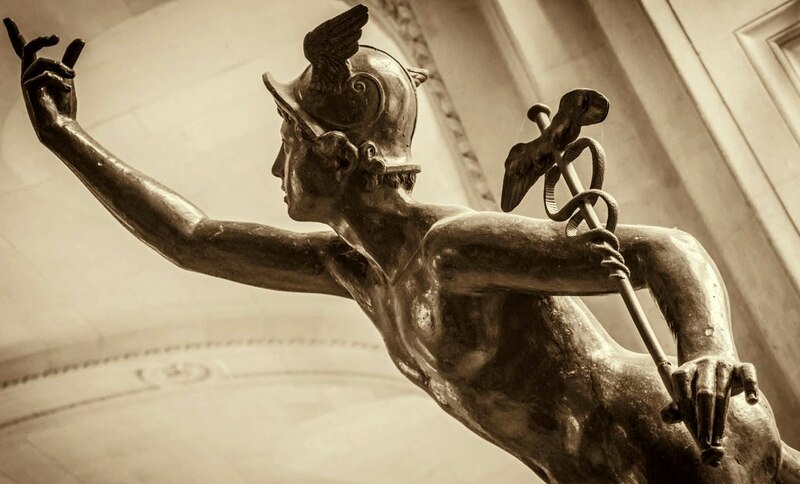 Hermes, messenger of the gods, moves between Heaven, Earth and Underworld, as the transmigrator of souls, guide and guardian of the ways between realms of the living and dead (higher and lower dimensions of the eternal and mortal coils/helixes). Hermes (Mercury to the Romans) as ‘divine messenger’ – which is also the meaning of the word ‘angel’, from Greek angelos/angeloi. He is an alchemist of the original RNA world, messenger, transferrer, transmuter and catalyst, flowing the codes of Life. The statue below shows his wand contained within a single spiral strand, the RNA coil of life. 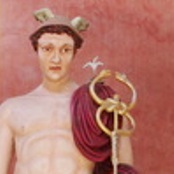 Hermes holds the RNA/single strand caduceus. Thoth, high priest of Atlantis, a soul expression of Ashtar, led an evacuation to Egypt, where the wisdom of the Inner Heart and ‘helix codes’ was anchored (though it faded into dualized concepts later on, the higher vibrational anchor-points and containers of that wisdom and codings remained, dormant and hidden until the right ‘time’). He also expressed his soul as Hermes Trismegistus (Thrice-Great Hermes), master metaphysical alchemist. In the Temple of Mercury near Tawern in Germany, Hermes/Mercury is depicted with the caduceus in his hand and the white lily of Annunciation above the caduceus, symbol of immaculate conception/Inception, which can also seen on the arrowhead of Ashur, and in the hand of Archangel Gabriel. Mercury/Hermes with caduceus & lily of Annunciation. Photo by Bareld Nijboer, Temple of Mercury, Tawern, 2013. Ashur fires the Lily-headed arrow of Inception. 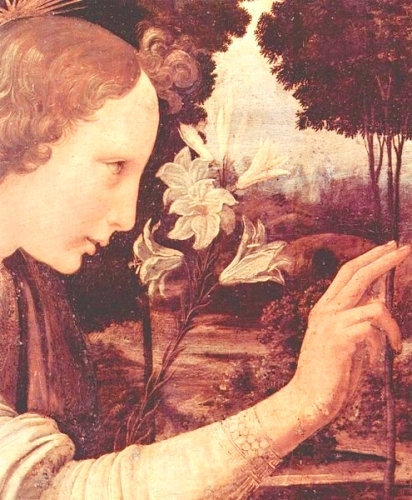 Archangel Gabriel holds the Lily of Inception/immaculate conception, in ‘The Annunciation to the Virgin’ by Leonardo da Vinci, circa 1472-75.
each son following his father out farther and farther…Thoth said that this has continued all the way from shortly after the Adam and Eve period in history up to the time of Atlantis. As you can feel from the above, Thoth/Ashtar and his soul family work deeply with the energy of Inception, the ‘holy grail’ of the coil as vessel, expressed in material form as the RNA-DNA spiral helix, container of the codes for physical Life. 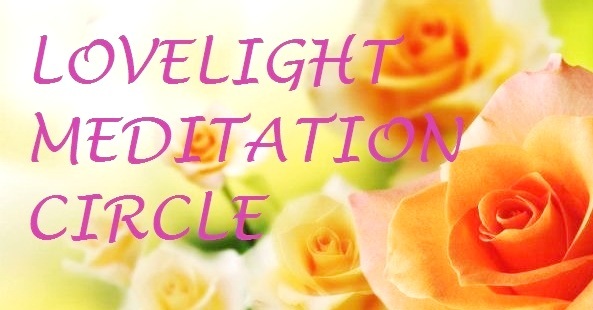 Drunvalo focused on the outward expression of sacred marriage and birth as a catalyst of Ascension energies, but this is also just as potent an inward process, in the grail cup of your mortal coil. ‘Immaculate conception’ is a pooling of Source light in the womb; Inception pools Source light, pure Love, in the ‘womb’ of each cell, in the container of our DNA, through the catalytic actions of RNA. Ascension with Gaia is not a flying up out of the body; it’s a concentration of Source light IN the body, mind and emotional field through reception of higher self energies to raise our whole frequency in unison, into wholeness. And the ‘safeguard’ is alignment with Love, beyond separation and dualism. Ascension of DNA frequencies via Inception. Ascension of the physical form means the container, the message (the Word, sound of Source) and the messenger merging as One. This is what it is to BE a Human Angel. In the words of Jesus Sananda: ‘Make of your body a reservoir of golden light.’ Within every Inner Heart there is a garden, dear friends, and in that garden is a golden pool, brimming with the eternal light of Source. Drink it, bathe in it, water your garden with it and spread it through your being, until the old structures, their stories and limitations no longer sway mind and emotions away from Unconditional Love. Relax the coil, immerse it in green, the cradle of Life. Feel into the green Essence of the Archangel Raphael, who holds the caduceus as a sign of the healing of all of duality’s dis-ease (hence it also became the emblem of the medical profession). 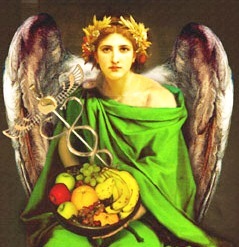 Archangel Raphael with caduceus and bowl (grail vessel) containing the ripened fruit of Life: physical Ascension. Artist unknown but appreciated. As I write this, sunlight is pouring through hibiscus leaves outside the window. Chlorophyll, conversion of light into Life, so natural and perfect an activity, reminding me of the miracle of our green world. It’s easier for plants to synthesize red chlorophyll, so in autumn/fall when they begin to conserve their energy for winter, their leaves shift from green to red or orange. It takes them more energy to synthesize green, yet can you even imagine what this world would be like, if all plant life was red, all the time? Feel into that, and you will know the vital balance of green, the middle colour in the light spectrum of the prism, the rainbow, the chakras. The Heart centre, the middle, is green. 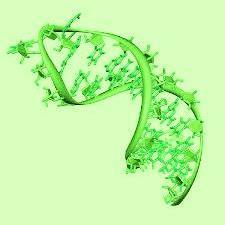 Perhaps before the RNA World, another frequency prevailed, but from the RNA, to the RNA-DNA pairing, then with the triangulation of RNA-DNA-proteins, green is in centre. Hence we innately find green relaxing, refreshing and soothing to the mind and emotions. So relax, trust your inborn ability to cradle Source, and be the Holy Grail. Move between the worlds, let Grace move you like the divine messengers. And Know that in the arms of Source, all Life is cherished and adored, whether high beings of Light or the smallest of creatures, no difference. 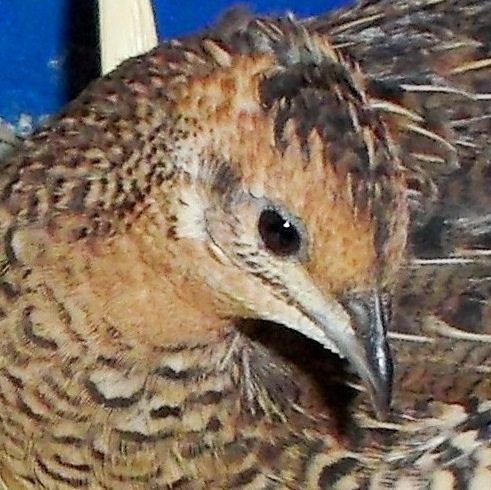 To my right ear now comes a soft ‘wi-wu’, from my beautiful companion quail, Aquila. 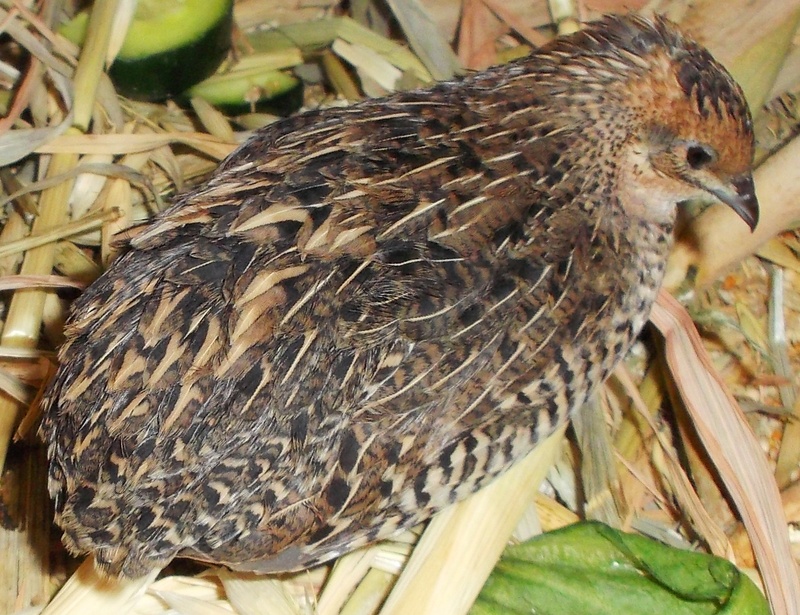 This tiny birds, the quail, who the Egyptians used in hieroglyphics to represent the sound ‘w’ or ‘hwu’ (sound of creation) was also symbolized by the coil or spiral. 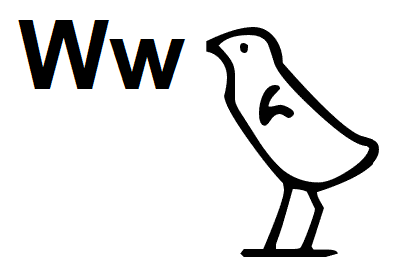 Quail: W or U in Egyptian hieroglyphs. The coil/spiral: W or U in Egyptian hieroglyphs. A little ground bird who lives and nests on the earth but can fly at need; she moves between the worlds of Heaven and Earth, so in the ancient wisdom of the Heart she was as holy as as the mighty sacred Ibis, one who knows the spiral path of Love into Life. 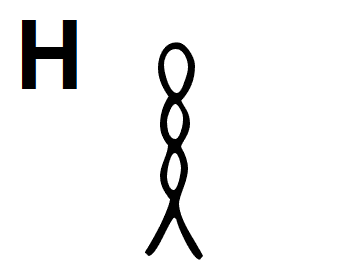 And in the sound for ‘H’ in hieroglyphs we see the Bow-folded RNA singe strand double helix. RNA single strand looped into double helix. This is Convergence; the infinite lacework of love, unconfined, non-linear, wonderful spiralling geometries of Life. Eternal life in Source alignment isn’t found through the analytic splicing and dicing of 3D genes, but in their subtle opening and absorption of higher frequencies of harmony and union. If you want to feel the spiral way of Love, just look into the heart of a Rose, and feel how it is you, at peace with Source and all aspects of your Self. Constant miracles of Creation, from the greatest to the tiniest, all is loved unconditionally. Love IS.